Home / Current Affairs / History / Yoruba / Yoruba Names: why do Most Yoruba Names Start with the letter (O). 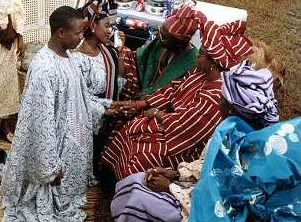 Yoruba Names: why do Most Yoruba Names Start with the letter (O). I have alot of Yoruba Friends and most of their Names Start with the letter (O). So i decided to do some research on yoruba Names that Start with the letter (O) and i discuvered that most Yoruba's love Names that Start with the letter (O). What is Really So Special with that letter (O) that yoruba's love somuch?